CARY, N.C.--(BUSINESS WIRE)-- 10TH ANNUAL SAS HEALTH CARE & LIFE SCIENCES EXECUTIVE CONFERENCE - Health care reform is changing the landscape for the provider, health plan, pharmaceutical and biotechnology industries, and analytics is playing a pivotal role in improving quality and costs. The 10th Annual SAS Health Care & Life Sciences Executive Conference, an invitation-only event being held May 14-15 at SAS world headquarters in Cary, NC, convenes industry leaders to discuss this critical need for health analytics in the evolving health care world. "We're in the midst of a historic time in the health care and life sciences industries," said Dr. Graham Hughes, Chief Medical Officer for the SAS Center for Health Analytics and Insights. "As our customers prepare to meet the changes coming in 2014, health analytics is key to improving patient and financial outcomes. We anticipate sharing dynamic discussions and best practices with customers and other key stakeholders." On May 15 from 8:30 a.m. to 4:00 p.m. ET, most of the conference proceedings can be viewed via webcast. For details and to register visit SAS Health Care & Life Sciences Virtual Conference (sas.com/virtualconference). "e-Patient Dave" deBronkart, Patient Engagement Spokesman, International Health Policy Adviser and author of Let Patients Help! SAS for Health Analytics encompasses the technologies and skills needed to deliver business and clinical insights into the complex interdependencies that drive medical outcomes, costs and oversight. Through modeling, optimization, predictive analytics and business intelligence, organizations can strengthen financial performance, deepen consumer relationships and improve health care delivery for better outcomes across the entire spectrum of health industries. The SAS Center for Health Analytics and Insights (CHAI) is a strategy, research and incubation organization focused on identifying new ways of applying advanced analytics to the challenges facing the health care and life sciences industries. Through multidisciplinary collaborations and the world's most powerful analytics software, CHAI helps organizations develop deeper patient insights, better medical outcomes, lower costs and improved organizational performance. SAS is the leader in business analytics software and services, and the largest independent vendor in the business intelligence market. Through innovative solutions, SAS helps customers at more than 60,000 sites improve performance and deliver value by making better decisions faster. Since 1976 SAS has been giving customers around the world THE POWER TO KNOW®. SAS and all other SAS Institute Inc. product or service names are registered trademarks or trademarks of SAS Institute Inc. in the USA and other countries. ® indicates USA registration. Other brand and product names are trademarks of their respective companies. Copyright © 2013 SAS Institute Inc. All rights reserved. NOTE TO EDITORS: A limited number of passes are available to accredited media upon request. 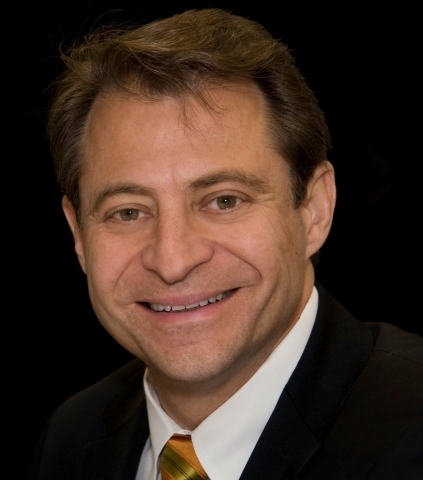 The article Dr. Peter Diamandis and 'e-Patient Dave' deBronkart keynote SAS Health Care & Life Sciences Executive Conference originally appeared on Fool.com.